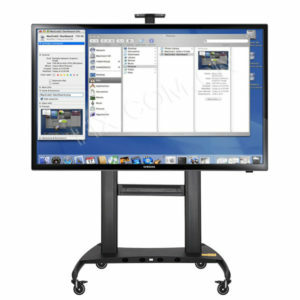 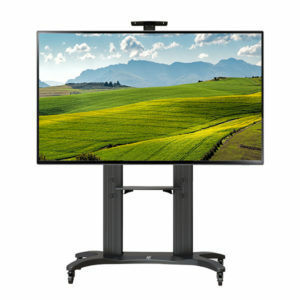 Fit Most 55″-80″ Flat Panel LED, LCD TVs. 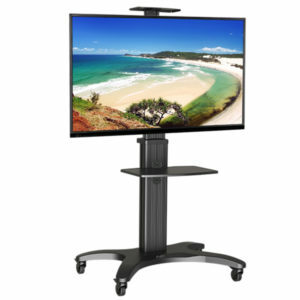 Whether you are looking for a large TV stand for your office or classroom or you cannot find best way to setup your LED/LCD TV for display in meeting rooms, exhibition halls, restaurants, etc, here is a great solution. 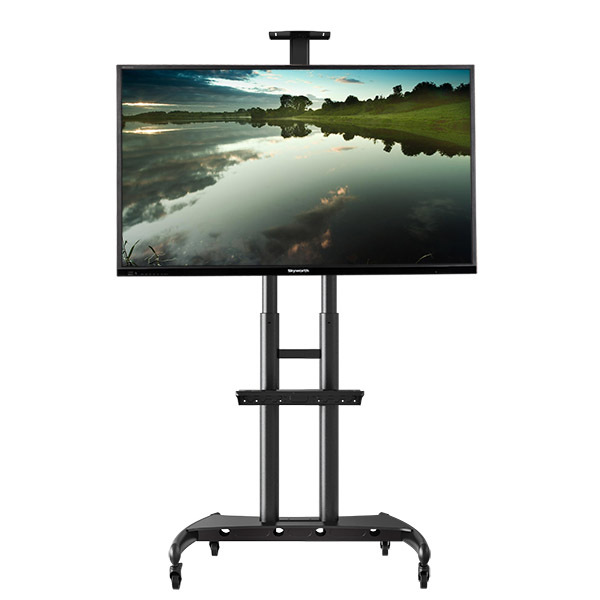 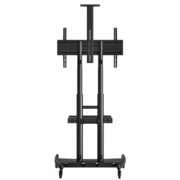 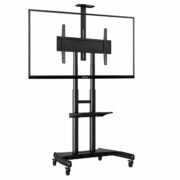 This is the new modularly designed, heavy duty, mobile display stand available in black powder coat to give you 2 rigid heavy strength supports with adjustable viewing height from 1050mm(53”) to 1650mm (65”). 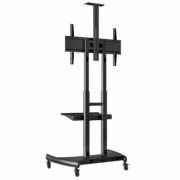 This AVA1800-70-1P comes with standard accessories like adjustable camera tray and audio-visual equipment shelf. 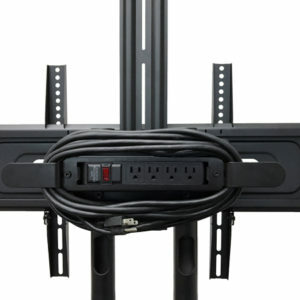 Easily adjust the height by use of the unique spring plunges; Designed with cable management in mind; Security padlock designed to prevent theft of valuable TV equipment. 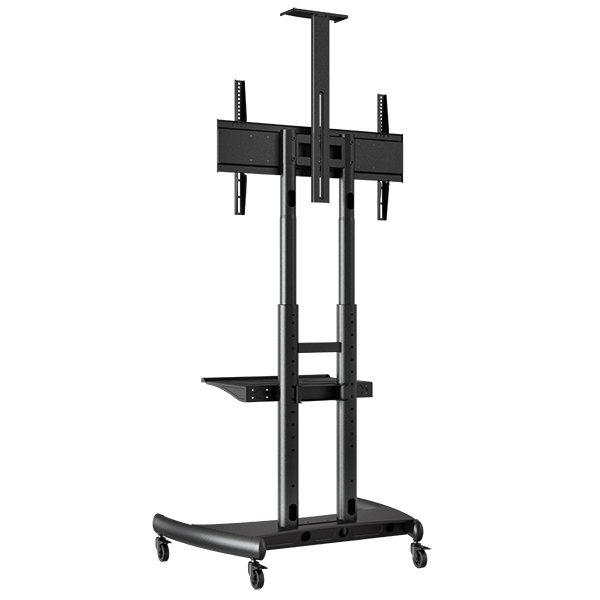 AVA1800-70-1P is designed to carry up to 200 lbs(90.9kg) or Maximum 80” flat panel screen with 4 heavy duty braked caster wheels installed, making for easy mobility over a variety of floors. 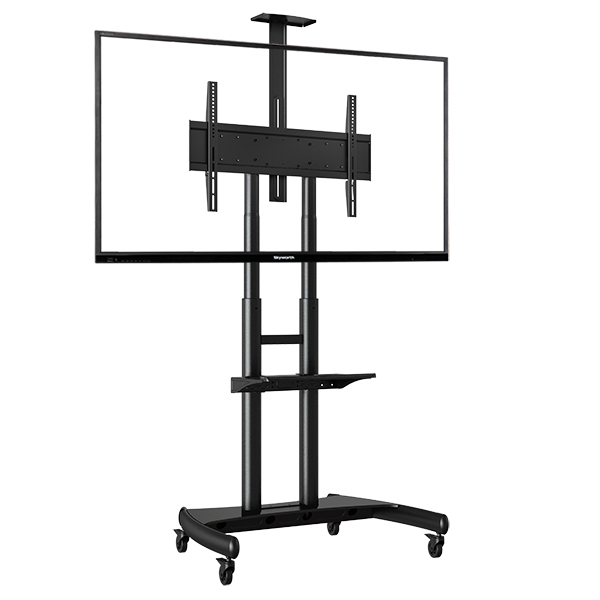 This is the new modularly designed, heavy duty, mobile display stand available in black powder coat to give you 2 rigid heavy strength supports with adjustable viewing height from 1050mm (53”) to 1650mm (65”). 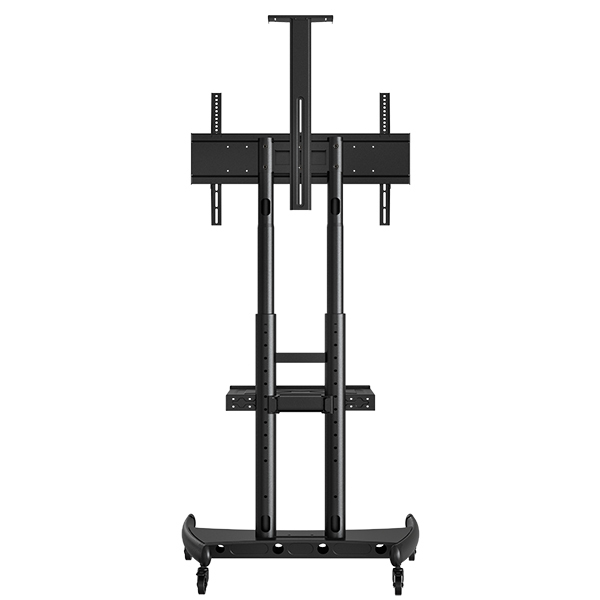 AVA1800-70-1P is designed to carry up to 200 lbs (90.9kg) or Maximum 80” flat panel screen with 4 heavy duty braked caster wheels installed, making for easy mobility over a variety of floors.